Cleveland, OH – 05/16/16 – Solus Lighting LTD is proud to announce their EDGE Certification by the Ohio Department of Administrative Services. 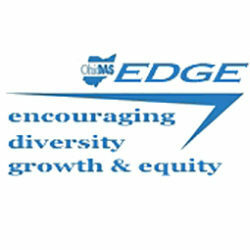 As its name suggests, the State of Ohio’s EDGE program provides an EDGE to small businesses by Encouraging Diversity, Growth and Equity in public contracting. The state recognizes the need to encourage, nurture and support the growth of economically and socially underutilized businesses to foster their development and increase the number of qualified competitors in the marketplace. Solus Lighting LTD holds several certifications locally and nationally. In addition to the City of Cleveland Certifications: Cleveland Area Small Business (CSB), Female Business (FBE), and Local Producer (LPE), the company also holds MBE, SBE, and WBE Certifications with the Northeast Ohio Regional Sewer District as well as an SBE Certification with Cuyahoga County. “Diversity and trustworthiness are important to our clients, and we pride ourselves on being able to help them reach their goals for meetings and events as well as their comprehensive earmarks,” stated Maureen E. Patterson, Lead Designer/Owner.